The Diggs Pet Crate was designed from the ground up to be more comfortable, more ergonomic, and more inviting for your 4-legged friends. It’s also easier to use, store, and transport for pet parents. The system is comprised of the Revol fold-flat portable crate and the soft, luxurious Snooz sleeping pad. 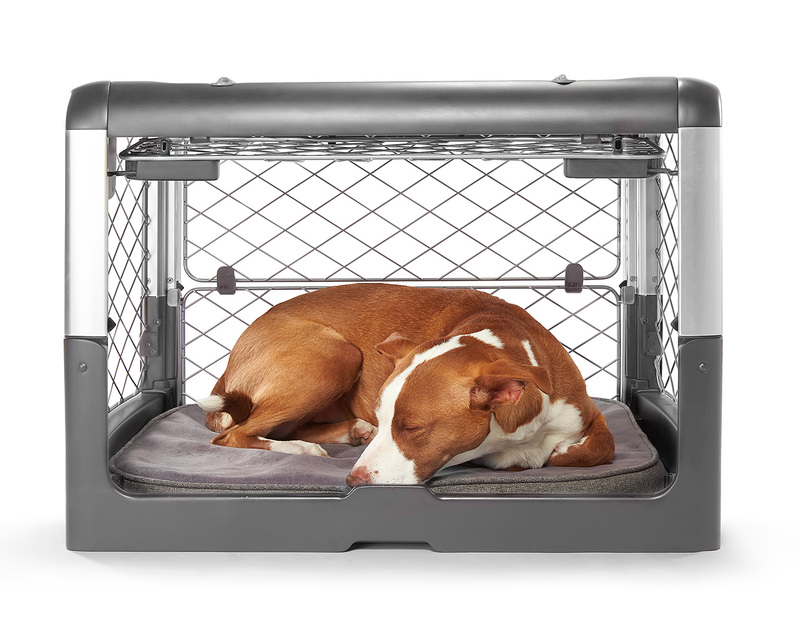 The Snooz is designed to fit perfectly into the crate, which is sized for small dogs up to 30 lbs. Larger models are currently in development. You work ridiculous hours and that means your dog spends too much time bored. With Pupple, your best friend will be entertained until you arrive. 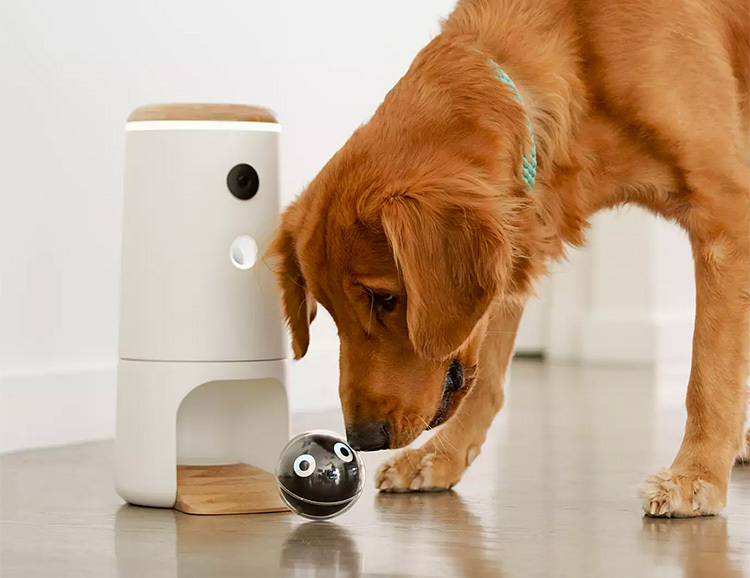 The system consists of a Wi-Fi-controlled motorized ball known as the Bird that is controlled by the Pupple app. Inside the shockproof, waterproof Bird ball there’s a a 1080p/30fps wide-angle camera that allows you to watch the dog chase the ball around as you control it from your phone. There’s also an automatic setting that uses AI to periodically roll the ball out when you’re too busy to play. Who knew the Transportation Security Administration (TSA) has an adoption program for puppies who failed their training? True! For whatever reason, these little puppers are just too nice for working on the frontlines of airport security. 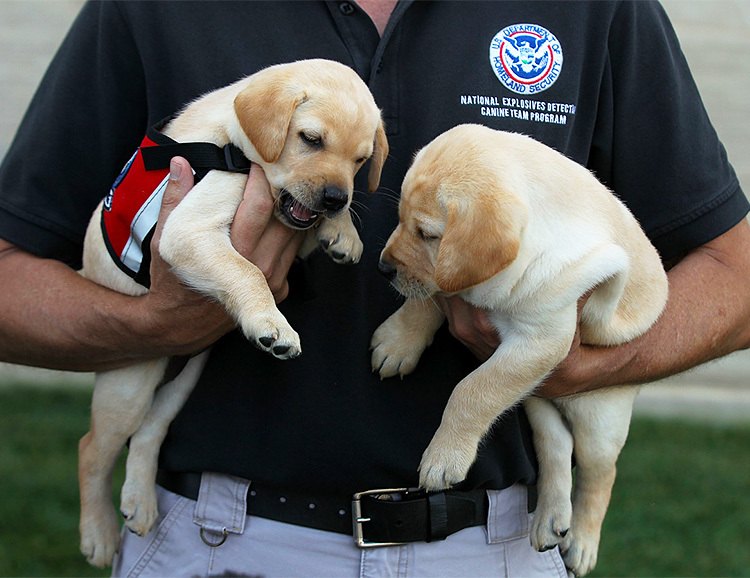 The TSA uses a variety of different breeds including Labrador Retrievers and German Shorthaired Pointers and the dogs are all bred either by qualified breeders or canine vendors. Yeti makes stuff better. Whether it’s a cooler, a camp chair, or this new dog bowl. 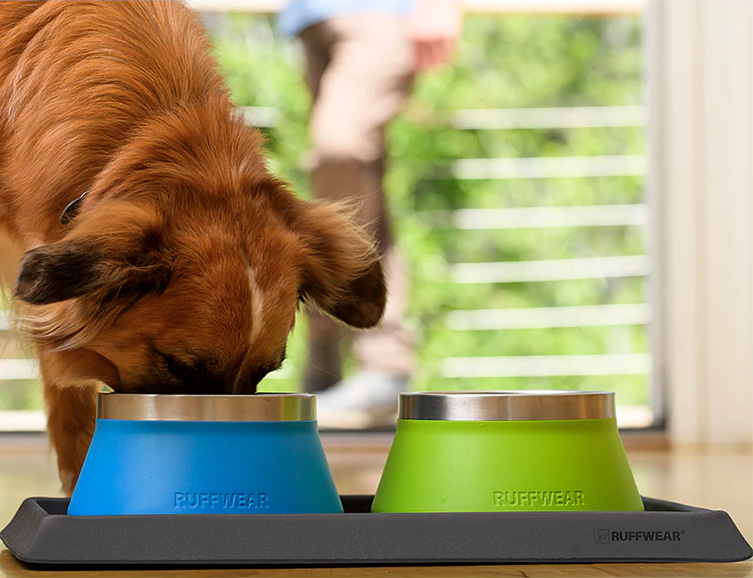 The Boomer 8 is a rugged, hardworking dog bowl that holds 8 cups of refreshing water or food, and is built with double-wall, non-insulated stainless steel, making it durable, easy to clean, and resistant to rust and roughhousing. 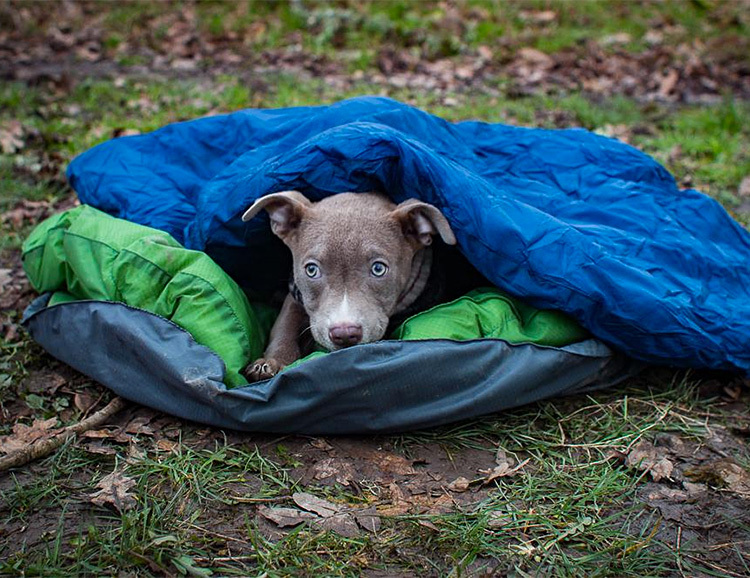 The DoggyBag is a sleeping bag for your pup designed to keep him warm and cozy out in the wild. The top half is a warm quilt made with box baffles and filled with a lightweight compressible synthetic insulation. The bottom half can be used together with the”quilt” or as a separate lightweight travel dog bed. It is made of durable ripstop nylon and available in 3 sizes. You’ve got all the trick gear you need for comfortable camping, shouldn’t the family dog? 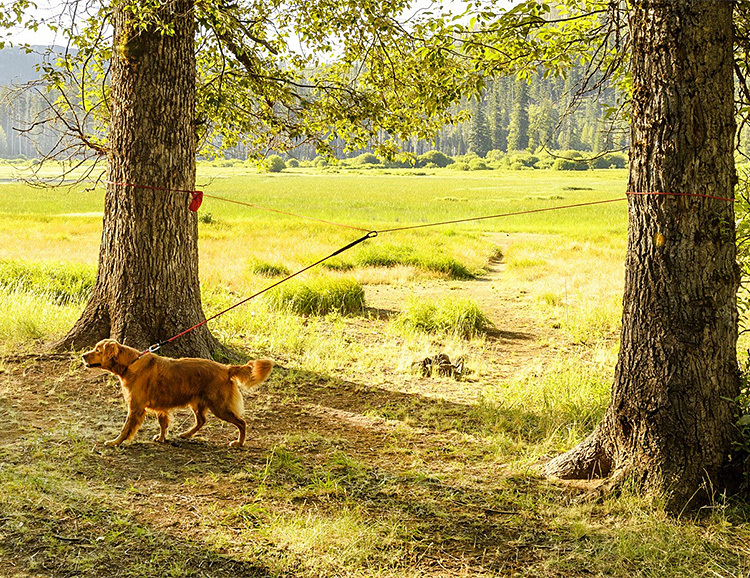 Start with Knot-a-Hitch, the campsite dog hitching system that uses climbing-inspired components and hardware that allows your dog to roam at camp while remaining on leash. The system includes a strong, kernmantle rope that can be set up between two trees or secured to a single post using Ruffwear-designed hardware and an easy-to-use tensioning system. The leash is 36-feet long and the whole system stores in a convenient stow pouch. The Atlas Pet Company guarantees their collars and leashes for life. Even if your dog destroys it. 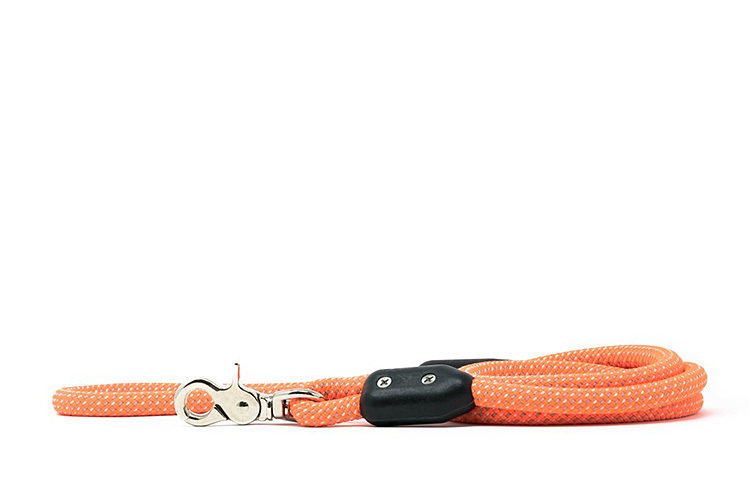 It’s a simple, solid design made using premium quality materials: durable, chew-resistant climbing rope, plastic joints originally designed for sailing, that have a strength of 1000-pounds and stainless hardware. Made in America. 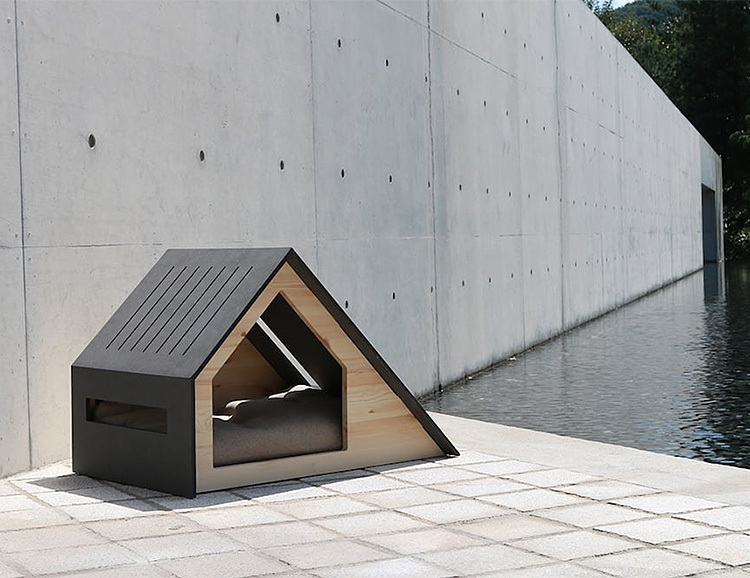 Created by the Bad Marlon design studio in S. Korea, The Deauville House is a modern dwelling for your beloved doggo. Made of powder-coated steel and plywood, it’s designed to fit small pets, under 11 pounds and features elongated windows and plenty of ventilation plus a cushion for comfy napping. 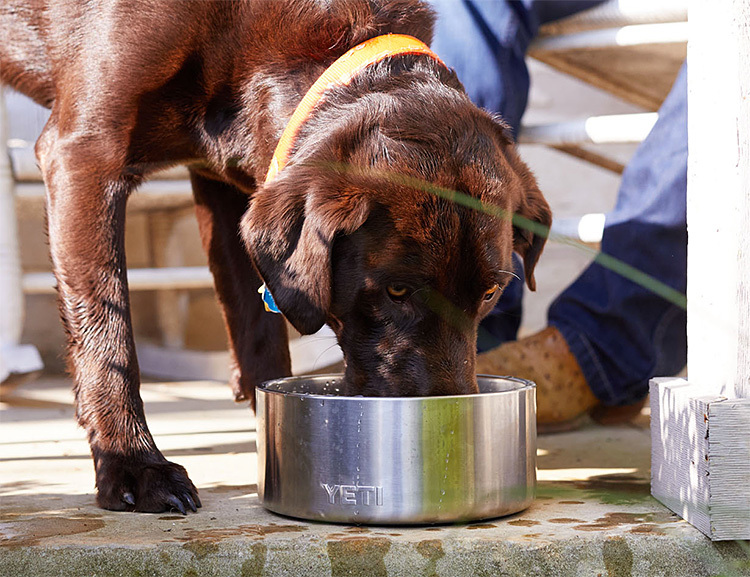 At home or out on the trail, your 4-legged friend deserves to eat and drink like the good boy he is. Hook him up with a Basecamp Bowl from Ruffwear and watch that tail wag. Made of easy-to-clean, food-grade stainless steel, the bowl holds 5 cups of food or water and has a no-slip silicone base. Available in a variety of colors with a durable, powder-coated finish. You’re stuck at work and missing Mr. doggo. He’s at home waiting for you. 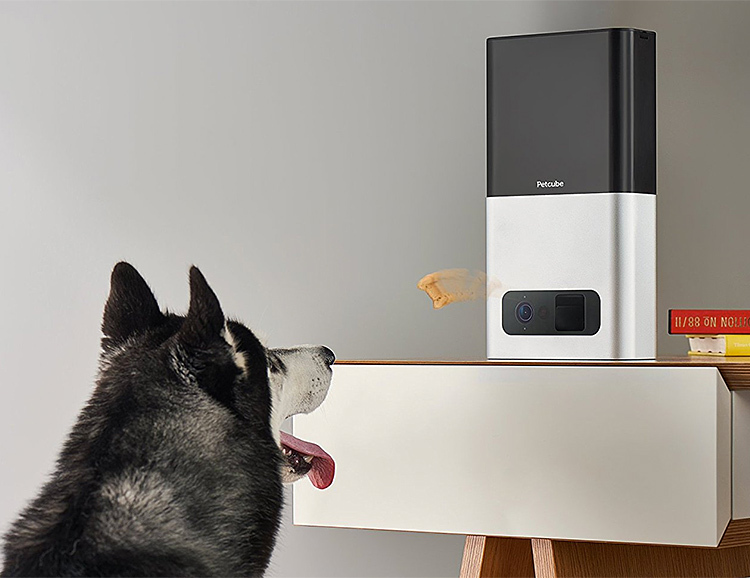 With the Petcube Bites Pet Camera, you can check in, see him in 1080p HD video, speak with him, and even fling him a treat. Fill the Petcube with up to 2 pounds of 1-inch treats and set it to toss them at varied distances. You can interact through the app on your phone controlling the camera’s 3X zoom, wide-angle lens, or night vision as well as 2-way audio. You like sustainable products and so will your best friend. 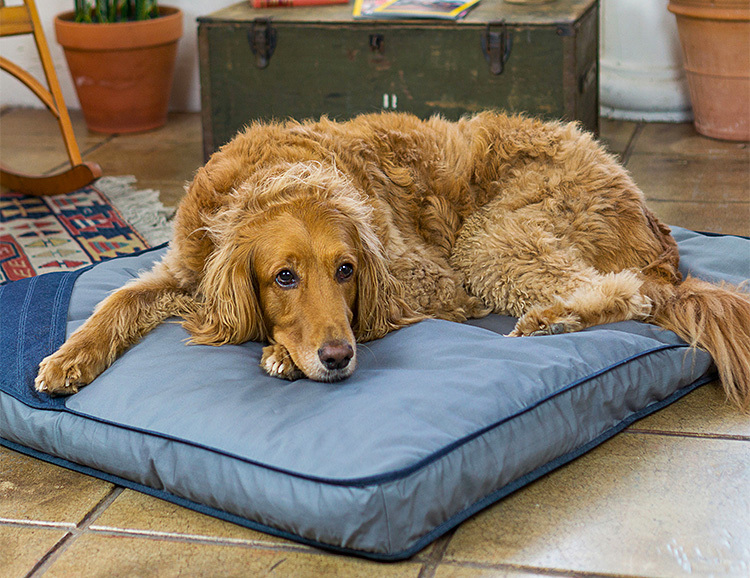 From cover to stuffing, the Eco Dog Bed from Toad & Co. is made with upcycled fabrics and with no added water or dyes. It features a no-chew zipper design, a pocket for toys and the cover is removable for easy cleaning. Available in 3 sizes. 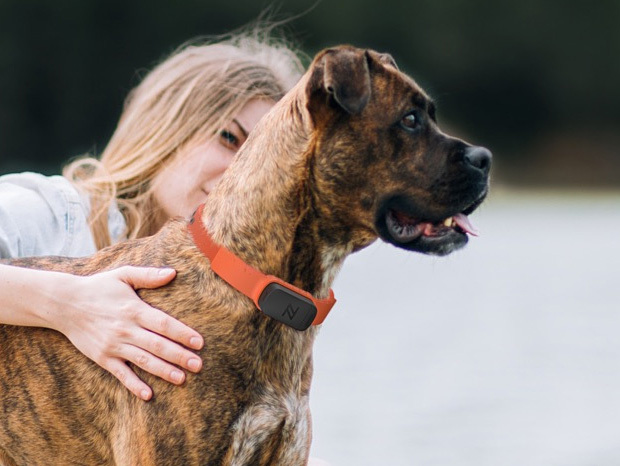 Nuzzle is a lightweight, waterproof GPS collar for cats & dogs that offers tracking and security with no monthly fee. Linked to your phone through the Nuzzle app, you can follow Fido’s escape route when he runs away or just check in anytime from anywhere to confirm the cat is still sleeping.